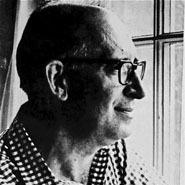 Bernard Malamud's novels won him acclaim as one of the pre-eminent writers of the 20th Century. His first novel, The Natural, published in 1952 and made into a movie in 1984, told the story of a baseball player endowed with miraculous powers. Malamud won both a Pulitzer Prize and a National Book Award for The Fixer, the tale of a Jewish handyman who goes to jail on false charges of murdering a Christian boy. His writing is lauded for its sensitive treatment of social problems, in which resolution is often reached through cooperation between antagonists. His other works of fiction include The Assistant, A New Life, and God's Grace.